The XMP 2600 is a customizable multi-output power system, which is ideal for ATE systems, burn-in, semi-conductor and automotive applications. The system offers the highest power per module from any manufacturer. The XMP 2600 can be customized by selecting up to eight of 22 different power modules ranging from 160W to 2.4kW. 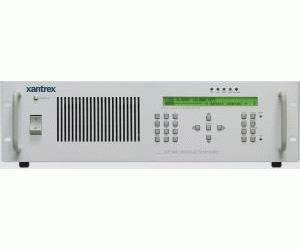 The XMP 2600 was designed to be flexible and the system to be customized for high-level test and OEM applications in automotive, military, semiconductor manufacturing, burn-in and ATE.